Most of Researcher may have published their research paper in different journals. If you have done before now so you can read this article for discover more and better way to publish research paper. Publishing paper in international needed the best qualities of articles. 1. Fist and most important, find a valid research problem in the area where you want to do research. 2. Do survey and try to solve the problem with your idea and innovation and get some good results. 3. Find a paper publishing journals based on the impact factor and results of the journals. Read properly about the scope of the journal, when you do select a journal. Make sure that where you are publishing your research paper should be similar area. 4. 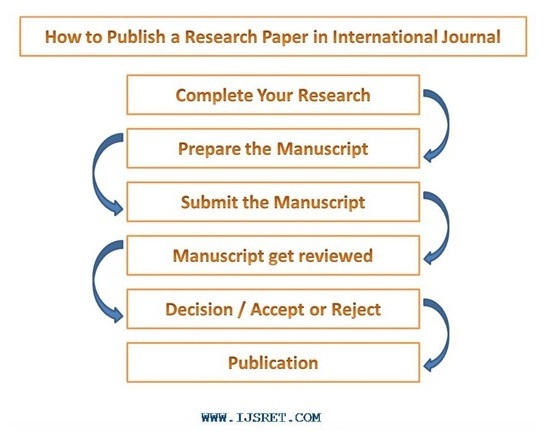 Prepare the manuscript according to the journal guidelines and submit your paper in international journal and wait for review. 5. Once the reviews come and if all is good according to journals guidelines then manuscript will get published.